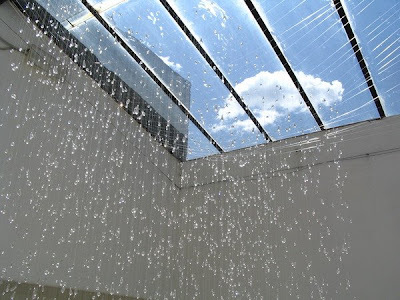 Homepage / Extreme Rain Installation. Beautiful art installation by sculptor and painter Stacee Kalmanovsky. 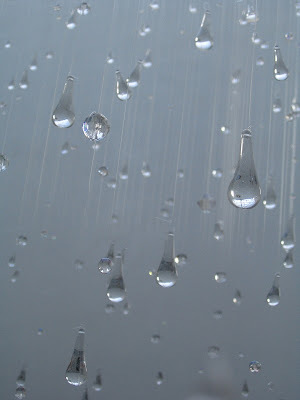 ‘Rain Installation‘ (2005) is an installation of beads on a fishing line under a glass ceiling. 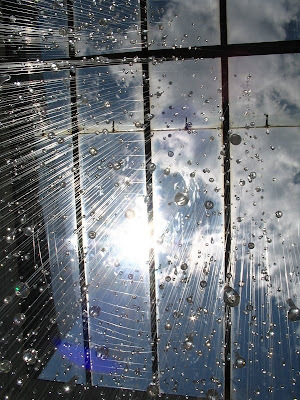 The installation projects as if the time has stopped and so has the rain drops in the mid air. Impressive! Stacee Kalmanovsky was born in Gomel, Belarus in 1981, immigrated to the United States in 1989, grew up in and around Chicago and attended the University of Illinois at Chicago. And after her graduation with Bachelors in Fine Art in 2004, she once again crossed the ocean to live with her partner in Florence, Italy. Previous post Green Walls, Vertical Gardens, And Sky Farms. Foto Mengharukan Seorang Veteran Tanker Rusia Yang Bertemu Kembali Dengan Tanknya!! !